Even further from what might be called the typical Artis/Cramps experimental/ progressive sound, here we have Roberto Ciotti, a blues guitarist/singer in a three-piece g/b/d format. 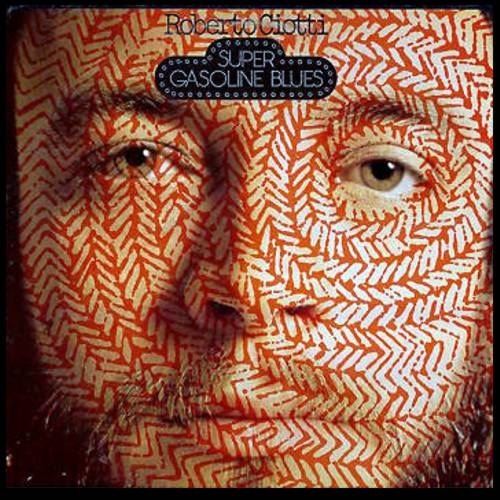 His album Super Gasoline Blues (originally Cramps CRSCD 029) rolls smoothly down that ol’ blue road with a mostly acoustic / dobro based sound, Mississippi style, embellished with plenty of bottleneck slide work and some blistering (yowch! very impressive) harp playing (by Ciotti). Vocalist Suzanna de Vivo sits in on one track "Bigroad Blues," adding a little vocal variety to the mix. A couple tracks like "Fisherman" and "When Is My Time" venture more into the electric blues-rock territory a-la John Mayall, which Ciotti also handles superbly. The lyrics here are all in English, sung with hardly a trace of accent, and Ciotti's voice is perfectly suited. In short though, how much mileage one gets out of Super Gasoline Blues will all depend on how much one enjoys the blues. This is an excellent record.